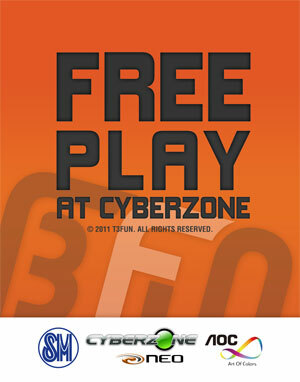 Seoul, Korea – (January 19, 2010) —SM Marikina’s Cyberzone is the place to be this coming weekend as T3Fun offers a free-play event for their newest MMO. This is in celebration of the opening of the open beta phase of their hottest MMORPG, CardMon Hero, which is the game to be featured. The free-play event from T3Fun will begin this January 20, 2010 until January 23, 2010. Laptops and LCD screens will be provided by NEO and AOC. CD installers and posters are to be handed out to new registrants. CardMon Hero is a one-of-kind MMORPG that incorporates a card summoning system in a free to play MMORPG. The game features a card battle system which allows players to summon various mercenary allies to assist them in battle. Players take on the role of a Hero with a set of Mercenaries which are all fully customizable through a full-featured crafting system. With this, the card system provides players the freedom of experiencing a very distinctive gaming escapade with cards that just can’t be found anywhere. There are numerous quests inside and leveling won’t be a drag due to very little grind. Heroes can assemble their very own deck of mercenary cards to guard them against the evil that has entered Aria. CardMon Hero is based on the popular Korean free-to-play MMORPG Camon Battle, opened to a global audience and rebadged as CardMon Hero. development of online games, T3 Entertainment has won the Best Game of the Year Award on numerous occasions. aims to be the Philippine’s No. 1 Online Game Publisher with introduction of new games such as AIKA GLOBAL and upcoming CARDMON HERO.